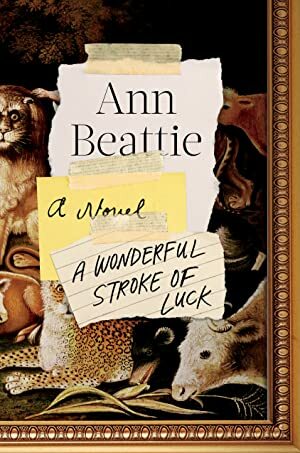 Ann Beattie discussed her new novel, A Wonderful Stroke of Luck, with Weekend Edition. Far Out Magazine shared a selection of Bob Dylan's favorite books. NPR Music is streaming Shovels & Rope's new album, By Blood. Chef Kwame Onwuachi discussed his memoir, Notes from a Young Black Chef, with Weekend Edition. Hayes Carll visited The Current studio for an interview and live performance. The Oxford American shared an excerpt from Susan Choi's novel, Trust Exercise. NPR Music is streaming Chris Forsyth's new album, All Time Present. The Guardian examined the enduring appeal of Tove Jansson's Moomins series. Fact listed the best albums of 2019's first quarter. The Verge shared an oral history of webcomics. PopMatters profiled the band Passion Pit. Town and Country recommended spring's must-read books. The Houston Chronicle and Dallas Observer interviewed singer-songwriter Jenny Lewis. Paste interviewed cartoonist Lucy Knisley. John Vanderslice discussed his new album The Cedars with SF Station and the San Francisco Chronicle. TIME interviewed historian Robert Caro. Stream a new song by the National. Andrea Lawlor discussed her debut novel, Paul Takes the Form of a Mortal Girl, with the Guardian. L7's Donita Sparks shared her favorite grunge albums with Rolling Stone. The Guardian interviewed French author Annie Ernaux. Stream a new short film by Kamasi Washington. Literary Hub shared an excerpt fromn Stewart O'Nan's novel, Henry, Himself.